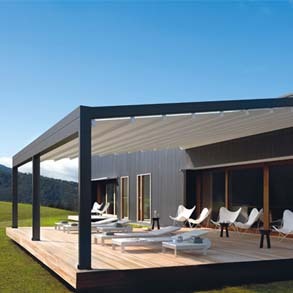 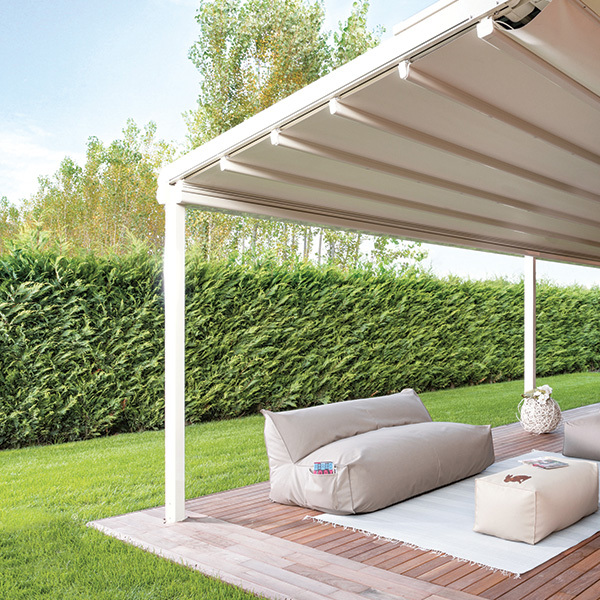 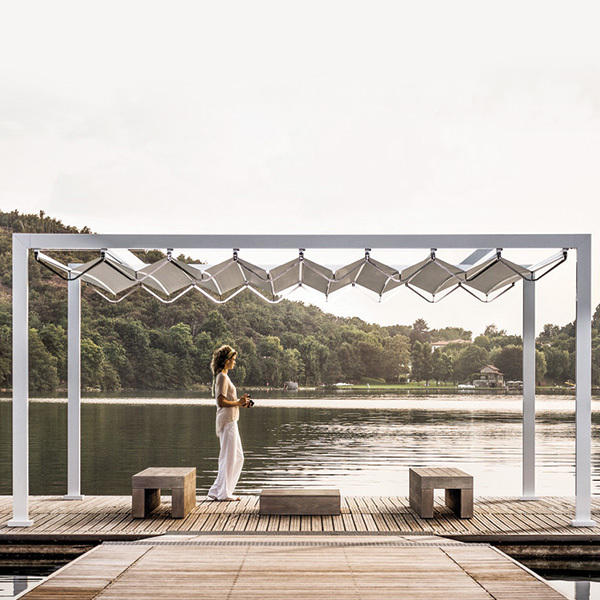 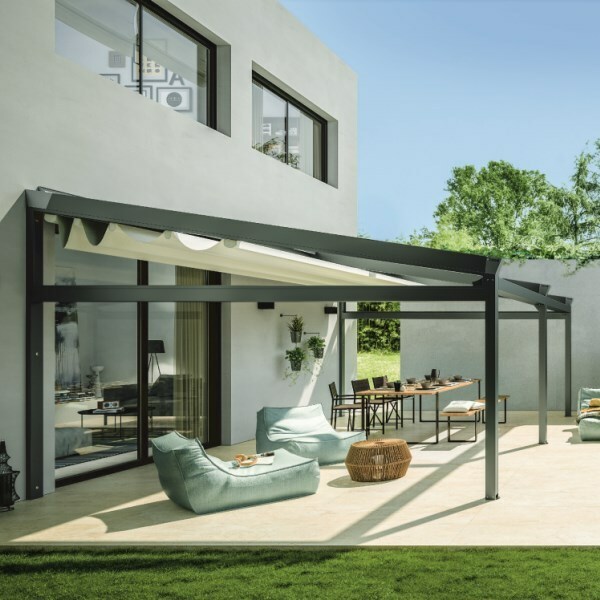 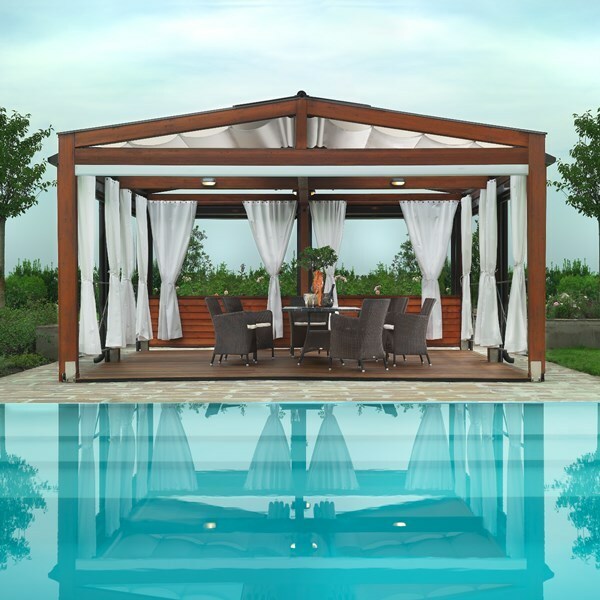 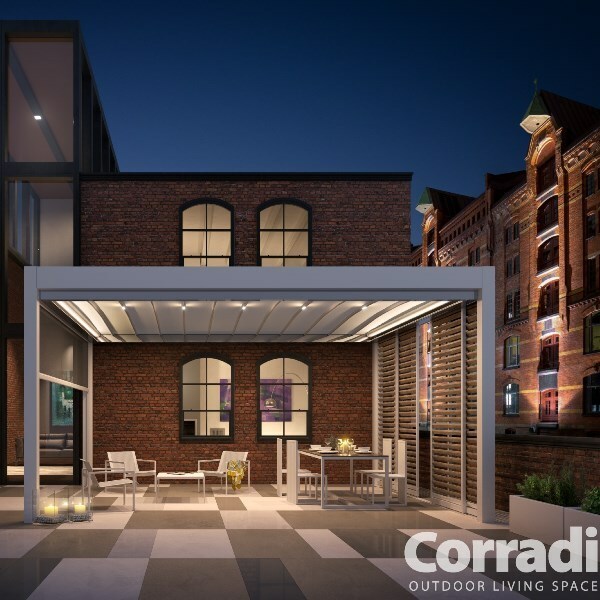 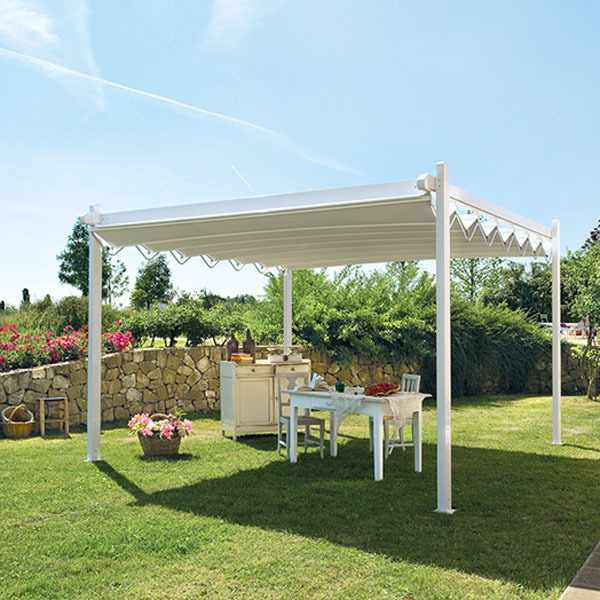 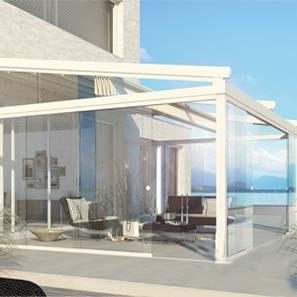 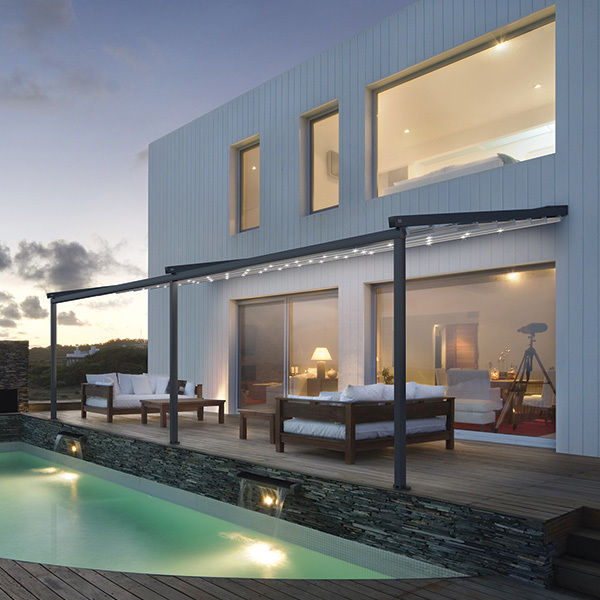 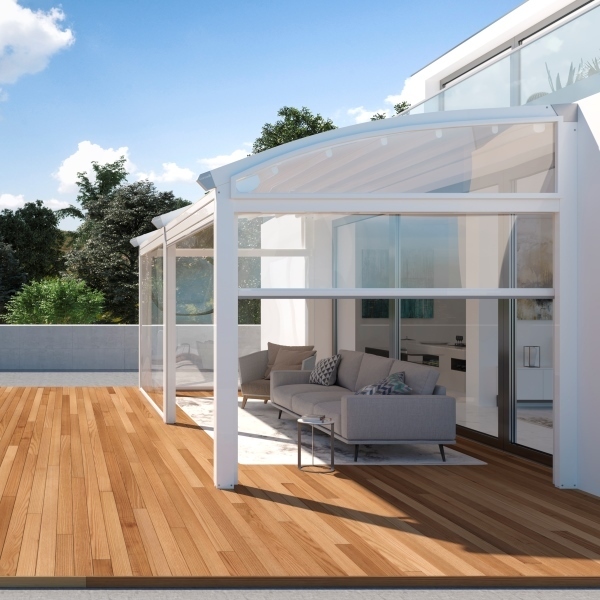 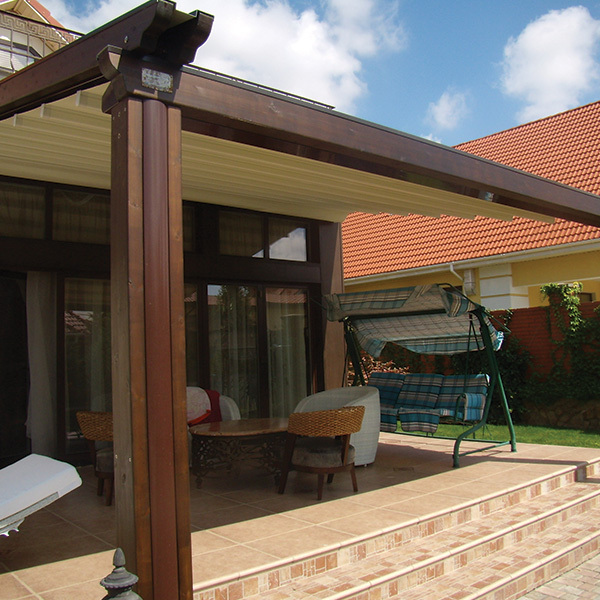 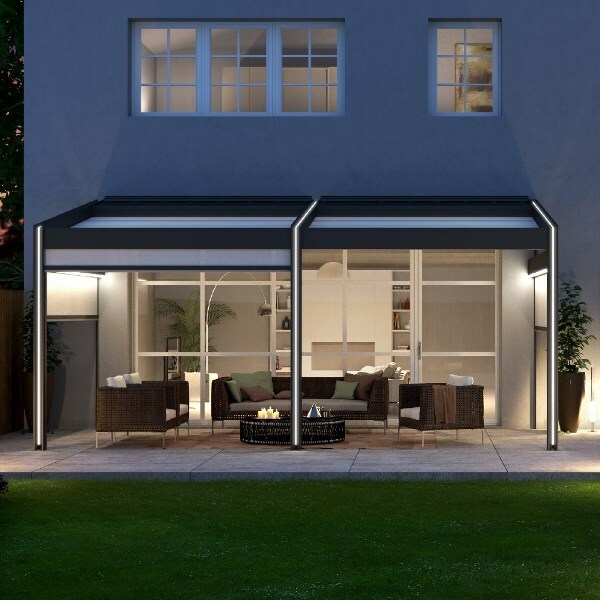 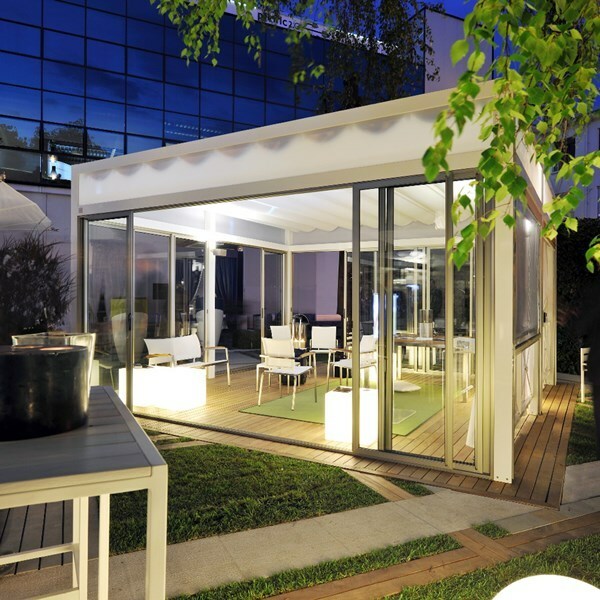 The Pergotenda B-Space is the metal pergola that offers more space for outdoor living with multiple possible solutions to create a harmonious continuum between interior and exterior. 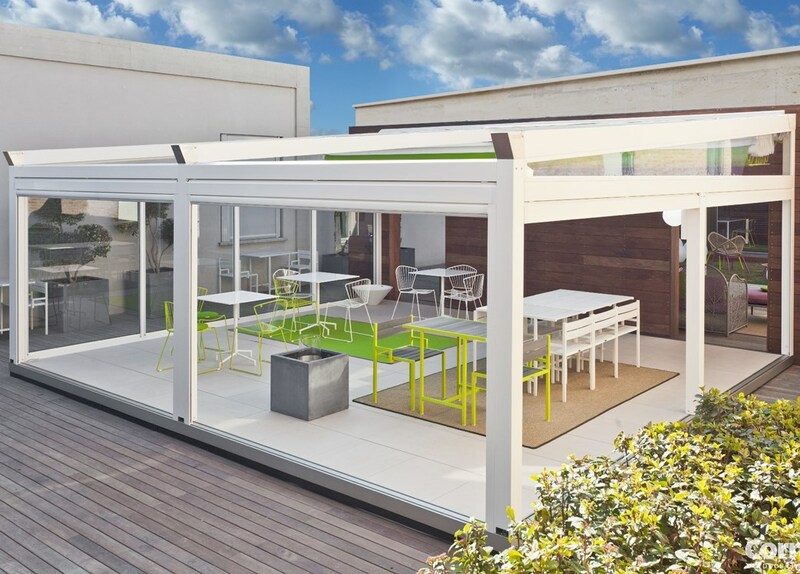 Made of aluminium and anchored to a support wall, B-Space can have a flat or sloped canvas, totally open on the sides for maximum freedom and a great look, but also personalised by adding perimeter closures choosing between sliding glass patio doors or filtering or transparent vertical protection, depending on the environment you want to create. 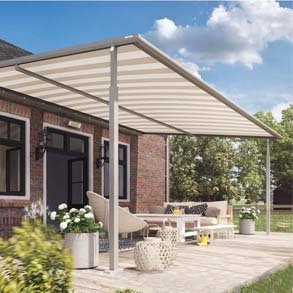 To enjoy the outdoors many months a year.